Comment: Project currently in progress but contractor unable to complete. I have all the material, just need it applied to the house. Comment: I am looking to get quotes for an unfinished siding job. I have all the material (siding, trim, gutters), I simply need it applied to the house. Comment: Siding at peak of one story house came loose during wind storm. Needs to be reattached. Small job. Comment: Siding came loose during wind storm. No siding missimg. Comment: Ghent commons home duplex style so three sides to be covered. It will need some repairs prior to siding on the front porch. I would also like a quote on the roof if that is within your scope of work. Replace the windows is also on the list of repairs to be done. Need a contractor that will possibly do financing. Norfolk Siding Contractors are rated 4.73 out of 5 based on 941 reviews of 19 pros. 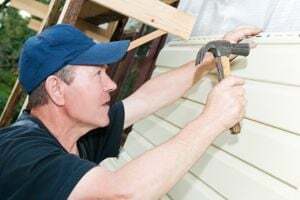 Not Looking for Siding Contractors in Norfolk, VA?